We offer services for those with no insurance through a sliding fee discount schedule based on family size and income. All are welcome regardless of ability to pay. As a courtesy, we can bill commercial insurance plans, Oregon and Washington Medicaid, and Medicare. Enjoy the convenience of paying your bills at OCHIN's MyChart online. Pay your bill online with MyChart. When you visit One Community Health, please be prepared to pay your co-pay or make a nominal payment ($25) toward your services. This and any balances on your account are due at the time of your appointment. We gladly accept cash, checks, debit and credit cards, however, you may also pay your bill at your online patient portal: MyChart. Please note that at One Community Health, patients will never be turned away due to inability to pay. We can work with you on a payment plan if that's helpful. In addition, we have a Sliding Fee Discount Schedule. One Community Health's sliding fee discount is available for uninsured and low-income patients and families. This discount is based upon your household income from the last 12 months. You can apply by completing an sliding fee scale application. The Application for Discount and Sliding Fee Discount Schedules can be obtained here. For any questions about income verification, insurance or billing questions, please contact our billing department at 800.972.8401. It is the policy of One Community Heath that payment is due at the time of service unless other financial arrangements are made in advance. We require all patients to pay their deductible, copay and/or coinsurance payment at the beginning of each visit. At the end of your visit with us you may be billed for any outstanding balances. If there is a credit balance, you will be provided a refund promptly. When your account is reviewed, and a refund is approved, we will initiate the refund to you in the form of a check unless payment was made through MyChart. In this case, refunds will be issued to the credit card that original payment was made with. Note: Refunds will be issued within 7-10 days from approval date. Should you have any questions about payment or insurance, please contact our billing team at 800.972.8401. Our staff will help you in a friendly, timely manner, making this aspect of your care easy and stress-free as possible. Navigating health care plans, Medicaid and even private or traditional insurance options can feel very overwhelming and confusing. At One Community Health, we specialize in simplifying this process and making it as stress-free as possible for you. If you need assistance signing up for Medicaid or another type of health care plan, you've come to the right place. 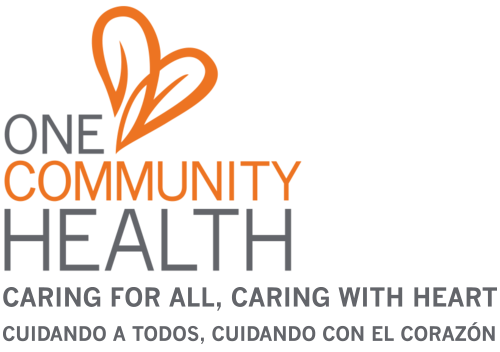 One Community Health is the most comprehensive resource in the Columbia River Gorge. One Community Health has certified enrollment assisters, specializing in Oregon and Washington Medicaid plans. We have assisted tens of thousands of people with completing their applications and enrolled over 16,000 community members in health insurance. Our team is ready to answer your questions and guide you through the application process. Both of our health centers in Hood River and The Dalles have bilingual (English/Spanish) Patient Resource Specialists. These trained and certified team members will meet with you before you see a provider. In this meeting, you'll work together to determine any needs you might have in regard to financial resources and/or other types of social services. Please note, while we cannot legally make recommendations about private or traditional insurance options, we can point you toward resources that can help.